Blancpain’s big introduction at Baselworld this year was the new vintage inspired Fifty Fathoms Bathyscaphe. 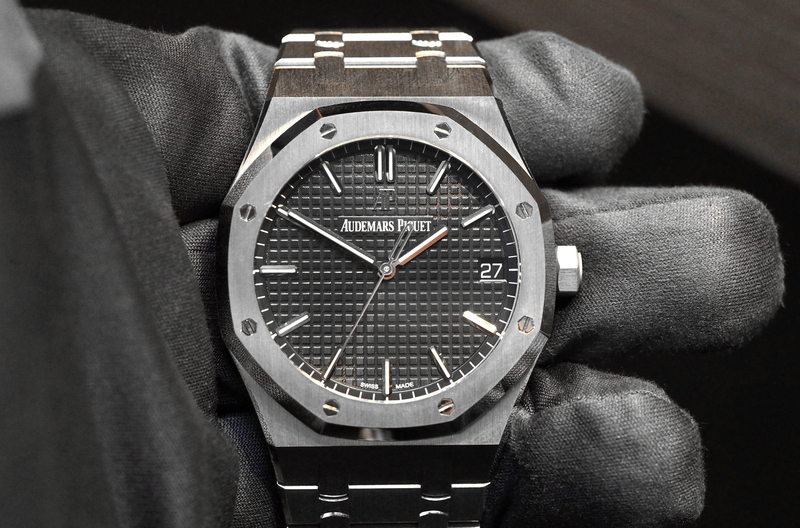 It is presented in a 43 mm x 13.4 mm case and comes in your choice of brushed satin steel for $10,500 or ceramized titanium for $12,000. Functions include hours, minutes, seconds and date. 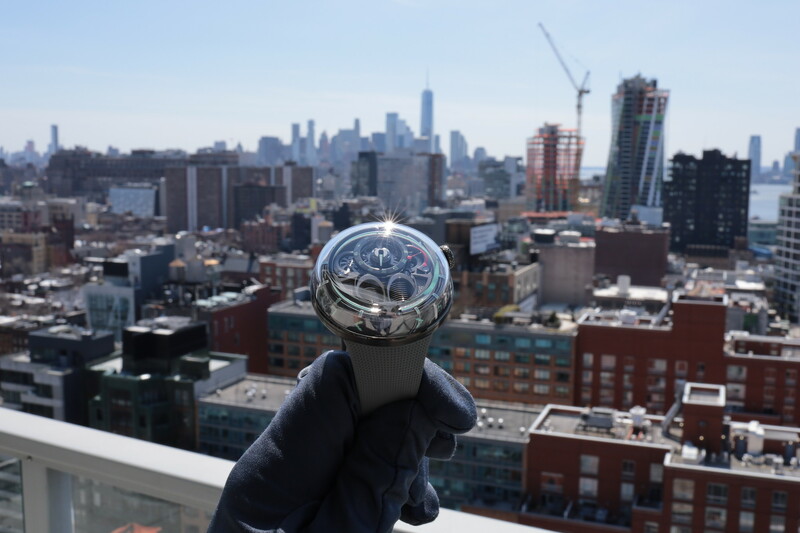 The dial comes in meteor grey or black. The unidirectional ceramic dive bezel is marked from 0-60, with a luminous dot at 60. Round hour markers are applied and feature luminescent paint. The hour, minute and second hands are treated with lume as well. 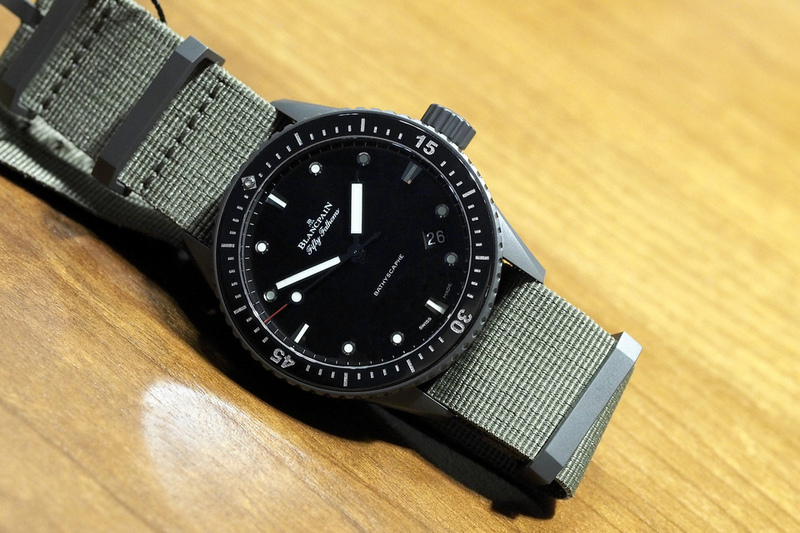 The Bathyscaphe comes on either a specially develop Nato strap with matching hardware or a textile strap and buckle. Inside is an in-house caliber 1315 automatic movement with 227 components, 35 of which are jewels and a 120-hour power reserve. 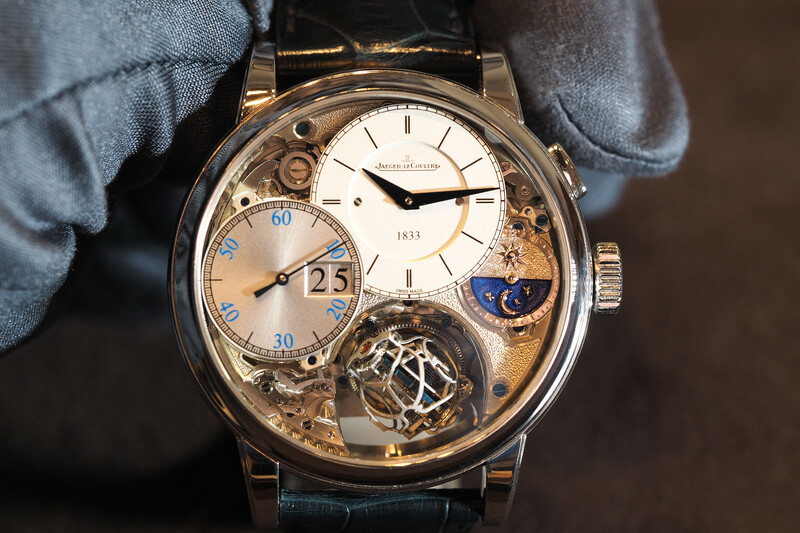 Editor’s Note: If you are wondering what ceramized titanium is, here is a brief explanation from Blancpain. Basically, a titanium case is put in a chemical bath with 600 watts of electrical current. This causes the titanium to oxidize (mainly on the surface of the titanium, but also partially on the rest of the case). Once the titanium is oxidized, it becomes ceramized titanium.